Product prices and availability are accurate as of 2019-02-22 18:17:21 EST and are subject to change. Any price and availability information displayed on http://www.amazon.com/ at the time of purchase will apply to the purchase of this product. 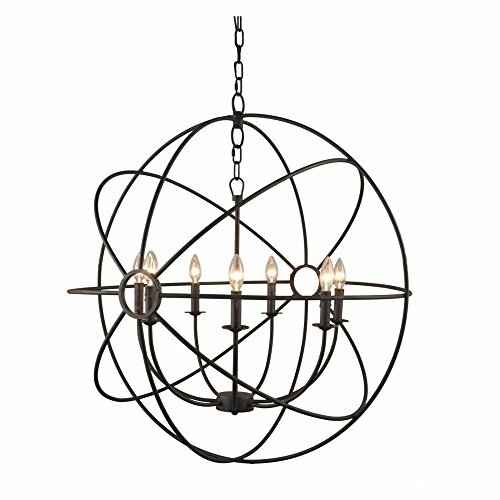 Update your home with this unique mini chandelier by Yosemite Home Decor. 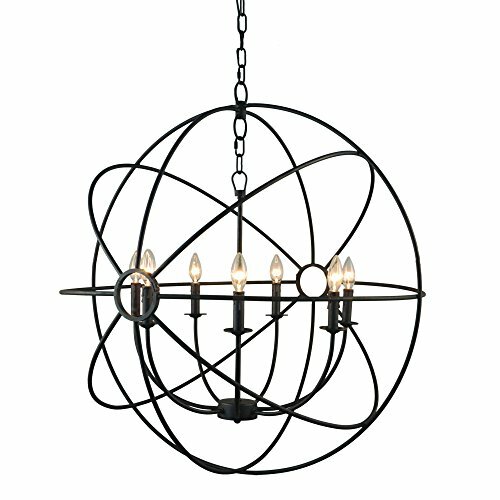 The shooting star Collection features a contemporary 7-light chandelier in a Rustic Black finish. Item code #SCFP2005-7-RS, this chandelier looks like an Atom with its many orbed frame that creates a sort of cage around the candle-like light bulbs, but has all the style and sophistication to rejuvenate your entryway, living room, and dining room. Step outside of the box and get creative with your space. Constructed of steel this piece is durable, sustainable, and easy to care for. It comes equipped with 3 ft. Of chain and 3.5 ft. Of wire. It requires (7) incandescent candelabra (E12) base bulbs at a maximum of 60-watts. A limited 1-year warranty is included on all parts. Also available in a Rustic Black finish 5-light variation.